What & Where to Buy? Apple cider vinegar is a vinegar made by simply fermenting apples in water. 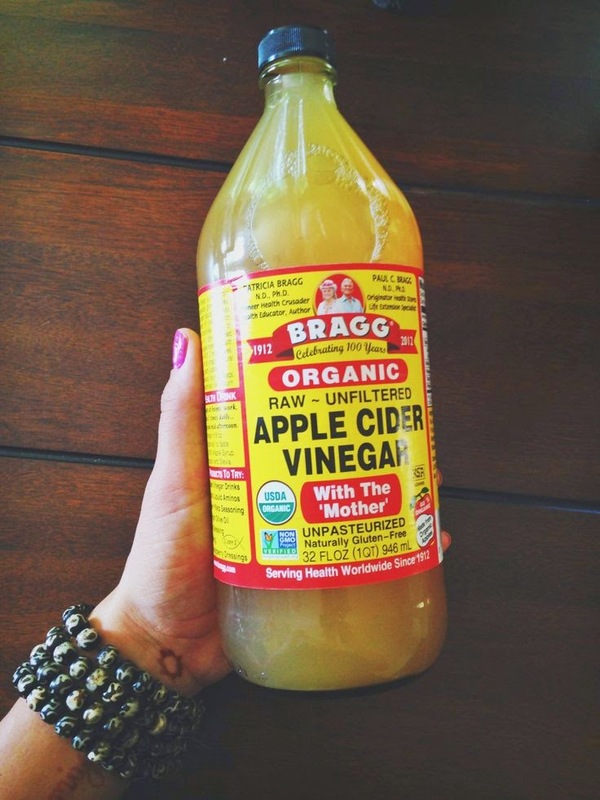 For best results when ingesting the vinegar or putting the vinegar on your skin, go for unpasteurized apple cider vinegar, like this Braggs brand (my favorite & the top apple cider vinegar brand). When using the ACV for cleaning purposes, its ok to go the pasteurized root, though for best results still use the Braggs brand. Is there anything more versatile than Apple cider vinegar? An ingredient everyone should have in their homes, ACV not only aids in digestion and heals skin, but works as a great house cleaner too! 1. Amp up your Salad Dressings: Just like a splash of lemon juice, Apple cider vinegar adds an awesome acidity to dressings. May 31, 2017 May 5, 2018 Categories RecipeLeave a Comment on Apple Cinnamon Protein Pancakes! In a bowl, mix together oats, egg whites, protein powder, cinnamon, and vanilla extract. Fold in the chopped or grated apple pieces. Pour half of the mixture on a pan or griddle sprayed with oil over medium heat. Flip until they become golden brown on both sides. Like this recipe? Then you’ll love these recipe ebooks! I have the itiest, bitiest obsession with all Starbuck’s products. The only thing is that for every delicious concoction I have to shell out five bucks. My newest obsession is the Berry HIbiscus Refresher. Delightful fruity and refreshing, but I sip it down in minutes with it costing $5 for a medium and 70 calories. My solution is a DIY version that is low on calories and cost. Steep the tea bags in the boiling water; add sweetener. Let steep for at least one hour (I let mine go overnight, but definitely not necessary). Pour tea into a pitcher, add ice and berried. Refrigerate for an hour. Serve with more berries. If you want to add in the missing caffeine, exchange one of the berry tea bags for a green tea bag.